1.1 UNIT 2 DAY 1 - Melody and Harmony. 1.2 UNIT 2 DAY 2 - Key and Harmony Areas. 1.3 UNIT 2 DAY 3 - English Musical Chord Symbol Notation System. 1.4 UNIT 2 DAY 4 - Harmony and Style. UNIT 2 DAY 1 - Melody and Harmony. Harmony is based on relation of one sound with the other elements in a Music work. ② How are chords build? From overlapping major and minor thirds in a modality. Every disposition of this first three notes are called inversions. All melodies, all backing chord part, ultimately every Music work has a harmony part. Chords are the building blocks we use to explain the harmony. Harmony is based on the way what we play sounds related to the other elements of that song. Harmony of black and white elements. Chords are builded from overlapping notes in thirds. We can build chords using overlapping minor and major thirds. The triad is composed of the first three notes of that cluster. This chord can be reversed in two other ways. Any other combination is possible and it is the base of all the chords and melodies. The chord inversions are the various dispositions of the notes in a chord. 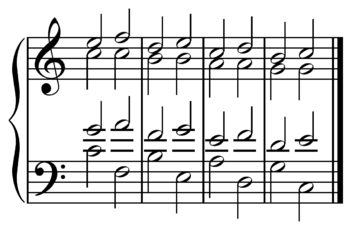 Groups of four notes in descending order with a gap of a Third between the first two notes returning to the starting note. UNIT 2 DAY 2 - Key and Harmony Areas. ① Why are Keys important for the construction of tonality? Because Keys indicate the notes we must flat or sharp in order to play in a modality. The three Harmony Areas are Tonic, Subdominant and Dominant, and can be found in the first, fourth and fifth degree of a Tonality. With this chords we order the notes in basic groups for melody making. Tonality Keys are essential for building chords. 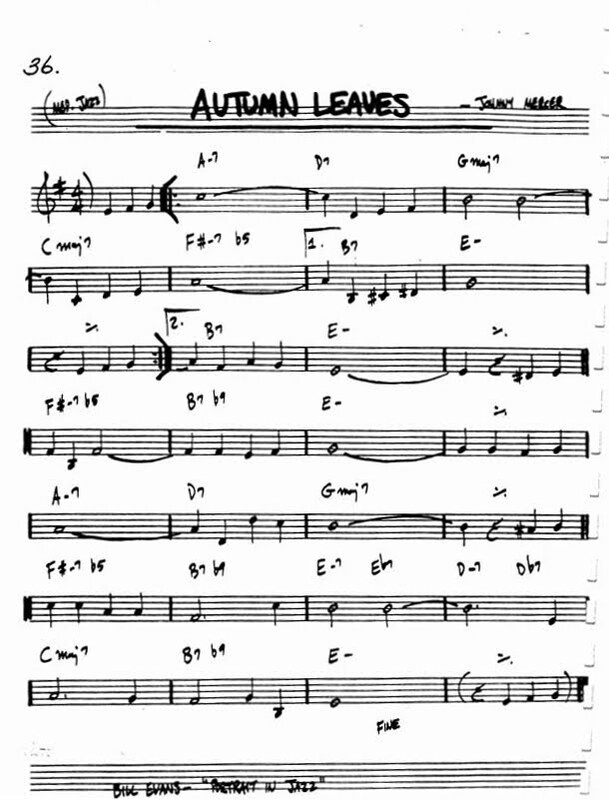 Flats and Sharps in the Key indicate the notes that we must alter. 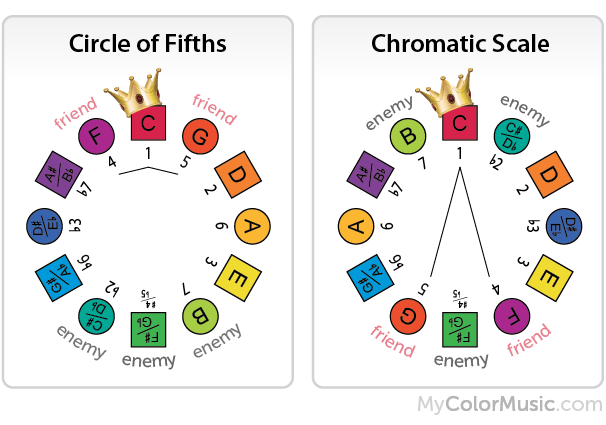 The Circle of Fifths represents all Keys with all the alterations (or non). As well, Tonal degrees are basic to write songs, because there are only three harmonic areas: Tonic, Subdominant and Dominant. The Areas of Tonic, Subdominant and Dominant in C Major are in C, F and G, respectively. All the scale notes are related to each other and also with the Tonic of this Harmony Area. If interval between the seventh grade and the Tonic is a Minor Seventh, then it is called SUBTONIC. Each Key has three harmonic areas. In the first, fourth and fifth grades are tonal chords of Tonic, Subdominant and Dominant, respectively. With these three chords we have got all notes arranged and some simple tunes on which we can compose melodies. UNIT 2 DAY 3 - English Musical Chord Symbol Notation System. 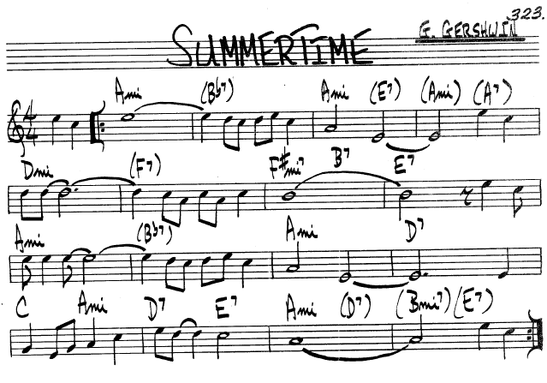 It is a notation system that uses a nomenclature to name chords in Harmony. ② Naming and basic building of chords. Chords are based on the musical notes and the intervals they produce, receiving from them their names. We use the English (or American) nomenclature(Symbol Notation) for naming the chords. Knowing of the intervals is essential to this system. This nomenclature is used in harmony. The chords are based on the musical notes and intervals, receiving from them their names. With this system we build chords. Two examples of Scores from the Real Book. Trill of five notes in ascending order. UNIT 2 DAY 4 - Harmony and Style. ① Why is it important to know the different musical styles? Because we must not only learn how to play the chords, but you have to know how to play them in a particular song. ② Why a chord sounds different if it is played in a particular style or another? Becase according to a certain convention, a chord is played in a way or another. Knowing how the chords are created is not enough to know how to play them. Musicians must learn to play in different styles because they not only have to learn to play the chords, but they must know how to play that progression in a particular song in a particular Style. A chord sounds different in every type of Music if that that chord is played according to a specific convention. 1. Harmony is based on relation of one sound with the other elements in a Music work. 2. Chords are written by overlapping major and minor thirds (depends on the modality we are in). 3. Chords are usually formed of three (root, third and fifth) or four notes (add the seventh). This notes can be disposed in different configurations like root, 1st and 2nd inversions. 4. Keys are the sharps, flats or the absence of any of this alterations at the beginning of the staff and indicate the notes we must flat or sharp in order to play in a modality. 5. The three Harmony Areas are Tonic, Subdominant and Dominant, and can be found in the first, fourth and fifth degree of a Tonality. 6. We learnt the usefulness of the Cicle of Fifths. 7. The English Notation System is a nomenclature of Chords, based on the musical notes and the intervals they produce. 8. It is important to know the different musical styles to play the chords in a praticular song.